The “ValvePro® Certified Valve Maintenance Technician” training program is designed to certify maintenance and technical personnel responsible for the operation of lubricated plug, ball and gate valves. ValvePro was developed in response to the large number of skilled and knowledgeable technicians that had left the petroleum work force. Between layoffs, retirements and amalgamations, the pipeline industry has been left with a short supply of in-house valve experts. New workers face significant risk. Public safety is increasingly threatened as existing pipeline systems age. New valves need to be properly commissioned and existing ones need to be properly maintained. 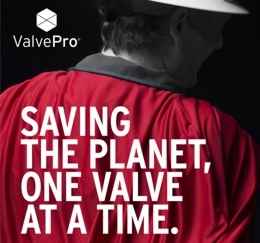 ValvePro shares its vast knowledge of the latest technologies, equipment and valve care products designed to prolong the service life of lubricated valves. It will also teach students the fundamentals of new valve commissioning and methods of troubleshooting valve integrity issues. Fugitive emissions from leaking valves can force unscheduled shutdowns. Performing regular maintenance while valves are inline and under pressure helps mitigate these shutdowns and saves the company from lost revenue. The procedures exist, the products work, and the investment in training is invaluable. The “ValvePro® Certified Valve Maintenance Technician” program is a collaboration with the University of Texas – Petroleum Extension Service (PETEX). The course provides the knowledge and skills for pipeline personnel to safely perform a variety of valve commissioning and maintenance procedures and systematic methods of troubleshooting valve integrity issues. To express your interest in this course, please click here to contact us. ValvePro will be running throughout Australia in September/October 2016. This training program is a two part course utilizing both self-study and hands-on training to obtain certification. The self-study portion is done at the student’s own pace using an interactive, online platform. The second portion is a three day seminar that incorporates both instructor-led classroom exercises and hands-on instruction. Classes are held at one of our training facilities or on-site at your location to certify each student is competent to work on valves. After successful completion of the program, students will be awarded with a “ValvePro® Certified Valve Maintenance Technician” certificate issued by PETEX. 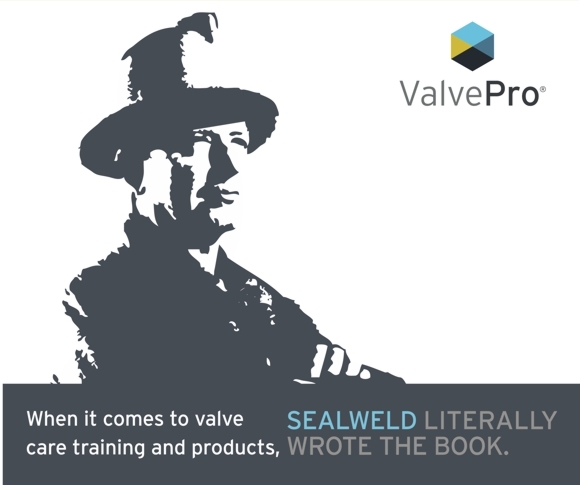 The “ValvePro® Certified Valve Maintenance Technician” Training program is delivered in two separate modules – an interactive online module and a three day instructor-led classroom module. Before taking Level 1, student are required to complete a “Basic Skills Evaluation” consisting of eight question from each level. This test is then repeated once students have passed all four levels. Level 1 – Valve Basics begins by defining what an “Abnormal Operating Condition” (AOC) is and the common AOCs that apply to valves and valve fittings. AOCs are pointed out and identified throughout all four levels. Valve Basics then describes how valves function and seal, and the different methods used to test valve integrity. The sections in this level include: common lubricated and non-lubricated valves, actuators/operators, fittings and adapters, valve care products, injection equipment and hoses. Level 2 – Valve Commissioning includes: valve delivery, fitting and valve inspection, pre-lubrication, installation, hydrostatic testing, final preparations, portable jumper assembly and stem extension winterizing. Level 3 – Valve Inspection and Maintenance includes: valve site surveys, body cavity depressurization techniques and preventative maintenance and servicing on ball, gate and plug valves. Level 4 – Troubleshooting includes: causes of valve stem and seat leaks, fitting leaks, seized and stiff valves, filling a body cavity, actuators/operators and specialized equipment. Students must complete a multiple-choice test after completing each level and achieve 75% or higher to pass. All test questions are randomly selected from a database containing over 500 questions. All tests and results are maintained in a database and incorrect answers can be reviewed by the student after completing each test. The operation of hand and power-operated injection equipment. The review of the online module includes a Q&A discussion to verify that all students fully understand the content and to clear up any concerns the student may have. The student assessment allows the instructor to tailor the class topics to the student’s specific needs. For example, if students are primarily with a distribution company, the scope of the class will be more focused on the types of valves most common to their application. Likewise for those who work more with mainline pipelines and liquid or gas services. Typically, the valves operate and function the same but the procedures may vary slightly. The instructor gives a hands-on demonstration of the operation and loading procedures of common hand and power-operated injection equipment with emphasis on safety. This includes understanding why a high-pressure gauge is needed, what the gauge is indicating and to understand what injection pressures are safe. The fittings and adapters portion provides students with hands-on samples from various manufacturers and for many different applications. The instructor demonstrates how some of these adapters are used and in what situations. The samples are used to help students identify dangerous, low-pressure fittings and obsolete designs. The maintenance and troubleshooting portion is used to review these topics from the online module and provides students with actual hands-on experience in the lab. Low-pressure air is used to simulate a natural gas pipeline and teaches students to service valves in pressurized conditions. Lubricated ball, gate and plug valves are used in the lab. All students must demonstrate their knowledge, skills and competency to the instructor under live or simulated conditions. In situations where the instructor goes to the student’s facility, actual field equipment must be readily available when it is not practical or feasible to provide one of our portable labs. The ValvePro online training module is an easy-to-use, Adobe Flash-based application that will run with most Windows browsers such as Internet Explorer, Google Chrome and Firefox. Some students have had success using tablets with a browser application called Puffin. Other apps may be available but must support Adobe Flash Player. Not all browsers are the same version and some firewall settings may prevent this application from functioning properly. We continue to strive to overcome these obstacles. The instructor-led module is ideally taken at one of our training facilities, however, a portable lab is available should an alternative location be requested. The classroom session focuses on practical exercises, simulation, practice and testing on relevant equipment. The instructor’s time alternates between theoretical and practical lessons. Interactive participation is highly encouraged. The online module content and testing typically takes a student between 20 to 30 hours to complete depending on the student’s comprehension and experience level. The instructor-led module is a three day session with breaks and lunches. The delivery time is based on a class of twelve students. The actual delivery time may be shorter if class size is smaller. This program helps to ensure individuals that perform service work on valves, inline and under pressure, are qualified to operate in a safe and effective manner. We work hard to assure technicians make safety their highest priority. This course is intended for anyone seeking a career as a pipeline valve maintenance technician and for existing technicians who wish to enhance their skills or become ValvePro certified. Individuals who are involved in pipeline construction, design, purchasing or engineering can also benefit from the vast knowledge base this program has to offer. Individuals only interested in the online module require a computer or other device with a minimum resolution of 1024×768. 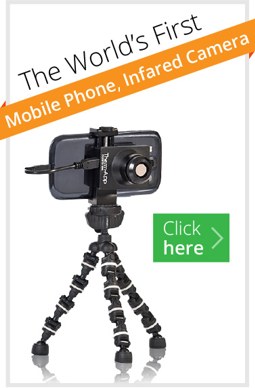 A high speed internet connection is a must in order to view videos and animations throughout the course material.